From either of the two parking pull-offs, follow one of several narrow paths that enter into the woods. In less than 100 feet, the paths connect and expand considerably to the point where the trail appears more like an old road. Follow this easy path for 0.1 mile and you'll see some cascades and a gorge on your left. There is no safe access available to get close to these falls unfortunately. 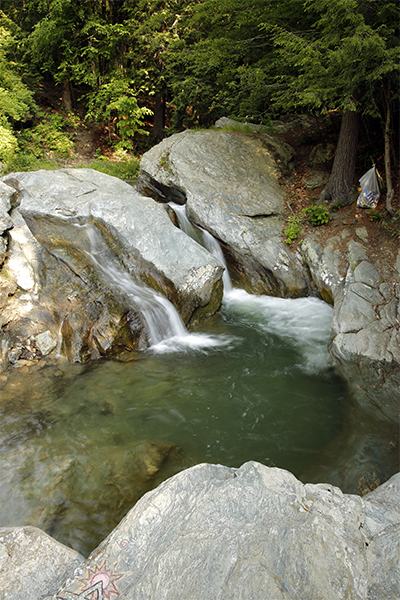 To continue to the main falls, continue along the main path for about 300 feet and you'll reach a fork in the trail. 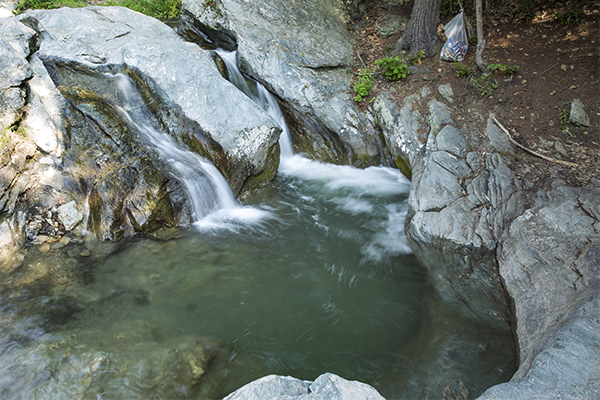 If you fork left, you can scramble 100 feet down fairly easily to the top of the falls, where you will find one of the two pools for swimming. The right fork leads a bit further down the falls, although not really close to their base. Reaching the base of the falls is difficult from all angles of the compass. The rocks and ledges surrounding the falls have been polished extra-smooth and can't really be walked on safely in many spots (I learned the hard way and took a nice spill). 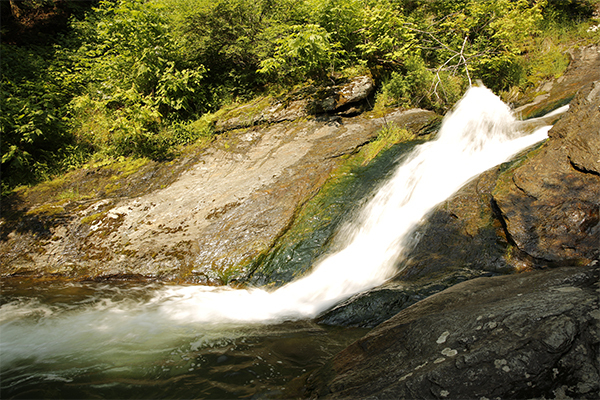 If you are determined to reach the base of the falls, you are going to need to either bushwhack or do a steep scramble to get down there. I can't really recommend this anyway as the views from the base of the falls are still rather limited due to the fact that the falls drop in several tiers and no perspective offers views of all of them. The pool at the base of the falls is fairly nice, though, I must admit. 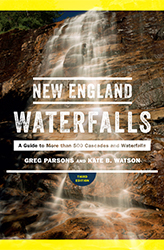 There is also a 12-foot waterfall just upstream of the main falls, but you can't see them on your hike in. To reach these falls, ford the brook a short distance upstream of the falls and then follow rough paths upstream for about 100 feet or so. You'll see the falls drop directly in front of you. From the junction of US-7 and VT 346 in Pownal, take VT 346 north for 3.5 miles and fork right onto North Pownal Rd. Drive 0.2 mile on North Pownal Rd and turn left onto Skiparee Rd. Drive north on Skiparee Rd for 1.3 miles (bearing left at a fork after 0.6 mile to stay on the road) and fork right onto Fowlers Way. Drive 0.1 mile east on Fowlers Way and park in either one of the two pull-offs on the right. These pull-offs are about 300 feet after the road leaves farmland and enters a woodsy section. To get Pownal, take US-7 north from Williamstown, Massachusetts or US-7 south from Manchester or Bennington, Vermont.